Asiatic countries like Vietnam and China have an ever-expanding demand for ivory as a cure all for things like cancer, the common cold and impotency. Of course, ivory helps none of these and ingesting ivory is no different than chewing your own fingernails. Rhino horn has been used traditionally for thousands of years, but it is being transformed into a ‘modern medicine’ to cure things like hangovers. 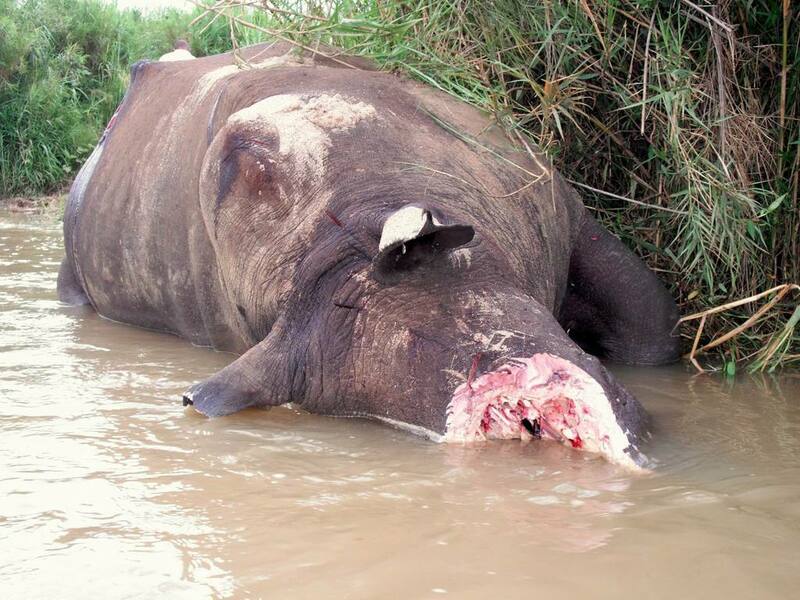 According to Save the Rhinos a South African rhino was killed every 13 hours in 2012. 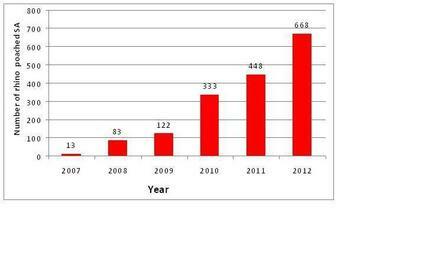 So far in 2013 over 100 rhinos have been killed. Efforts to stop this have been varied. Park rangers were trying to tranquilize the rhinos and remove the horns in an attempt to stop people from killing them, but rhinos are meant to have horns and this has not been very effect and some even consider it cruel. The horn also grows back in a mere 2 years. A new technique is being tried out where conservationists and scientists are infusing the rhino horn with a poisonous dye that doesn’t harm the rhino, but if the horn is consumed by humans it will caused diarrhea, vomiting, and in extreme cases nerve disorders and convulsions. This is being done in Entabeni Safari Conservancy. 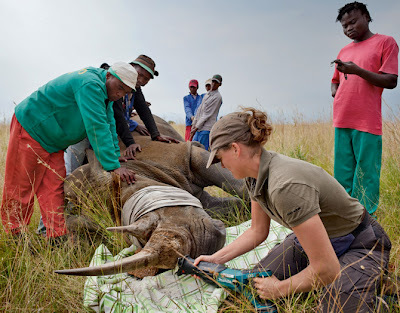 The rangers tranquilize the rhinos, drill a hole into their horn and insert the dye. 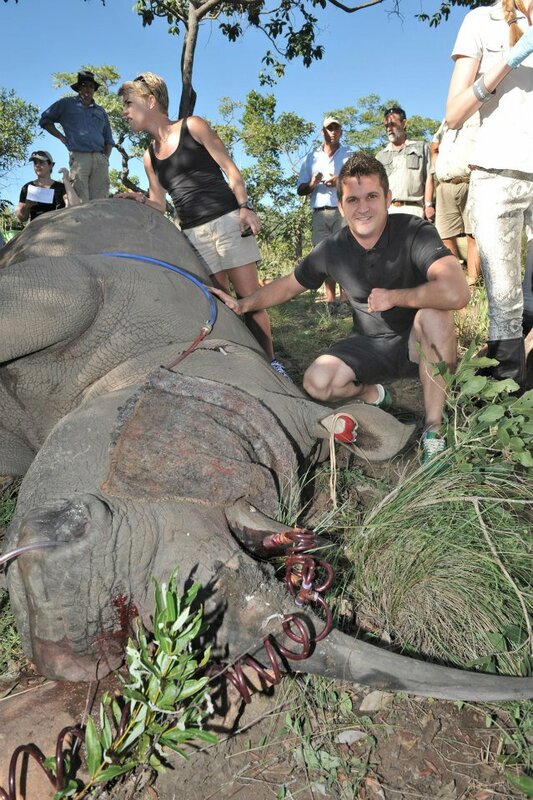 It allows poachers to know which rhinos have been treated because it causes the horns to turn red. It lasts for about 7 years. The poison in the injection is called ectoparasiticide. Signs are also posted around the reserve warning of the treated rhinos in attempts to deter poachers. This was started in January 2013.